Still at Work after all these Years: New England Central GP38s. 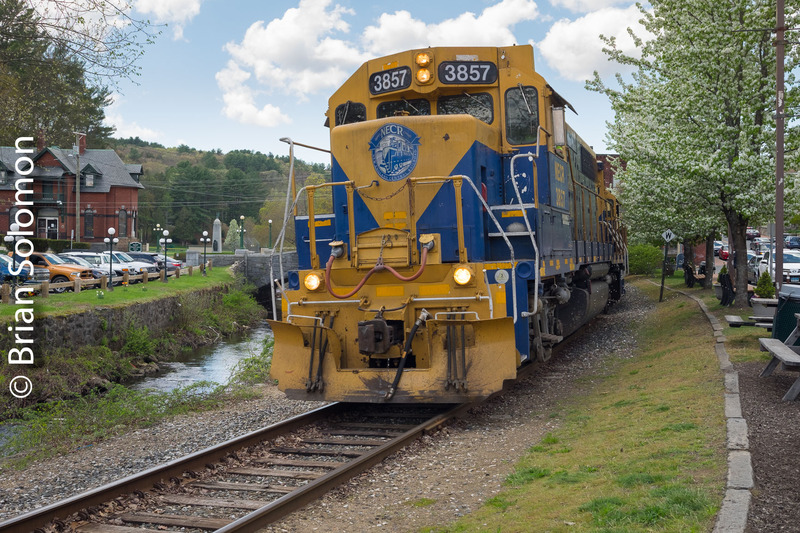 New England Central began operations on the former Central Vermont Railway in Febraury 1995 using a dozen freshly painted secondhand GP38s. More than 23 years later, and two changes of ownership, and New England Central still has a handful of these old GP38s working in the same paint scheme. 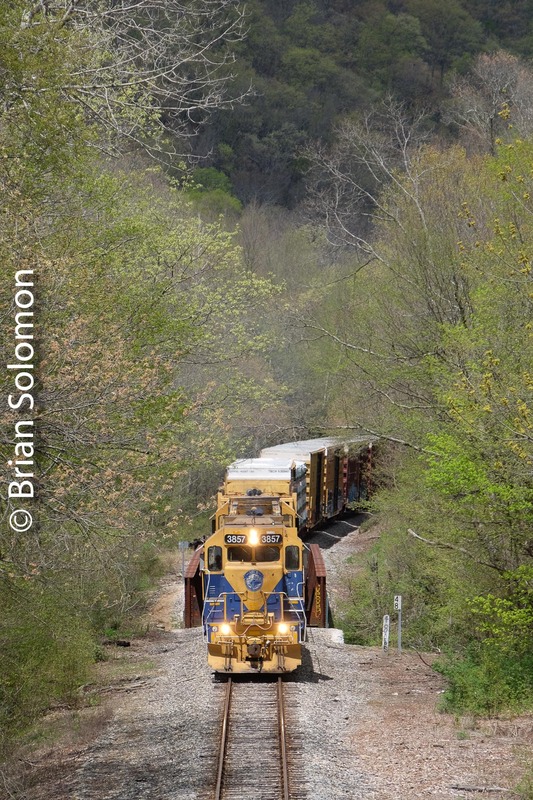 Last week, a matched pair of these engines was working the Willimantic-Palmer freight, job 608. I made an effort to catch these venerable diesels on the roll. New England Central 3857 leads the southward 608 at Stafford Spring, Connecticut. I was aiming to feature the blossoming tree at the right. Photo adjusted in post processing. New England Central 608 approaches the Route 32 overbridge south of Stafford Springs, Connecticut in May 2018.